They all put out dreadful albums in the 1980s - Elton John, The Rolling Stones, Paul McCartney, Bob Dylan...Rod Stewart was no different. Synthesisers were the name of the game, and drum machines. Good Lord what a awful period for music it was. 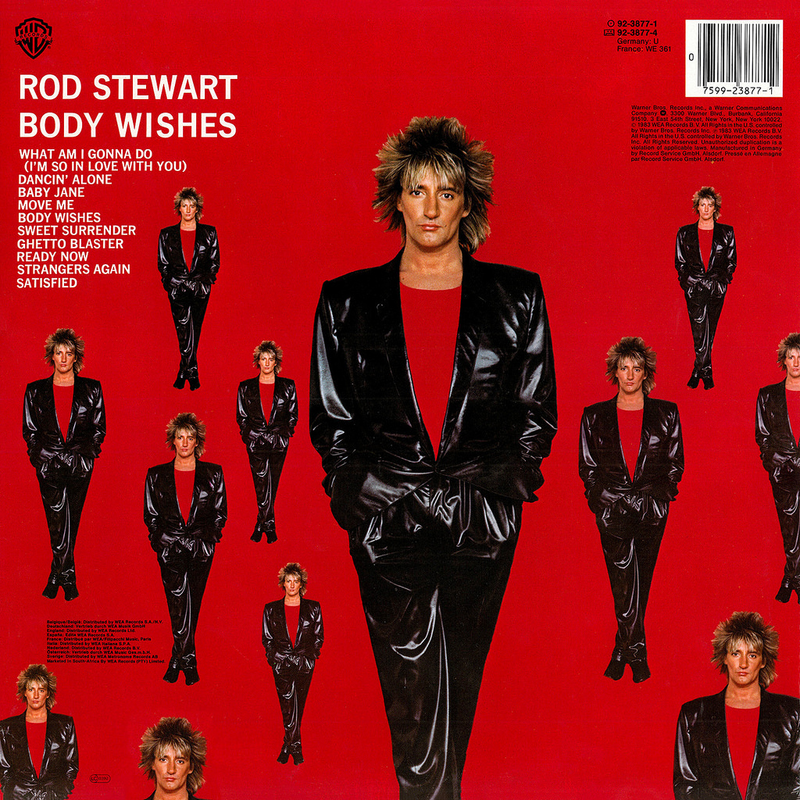 This is one of a series of patchy Rod Stewart albums that saw his decent into being a somewhat of an increasingly irrelevant artist living on past glories, but still putting out material every year or so. The albums were increasingly becoming lazy, self-satisfied affairs and this is certainly that, in places. 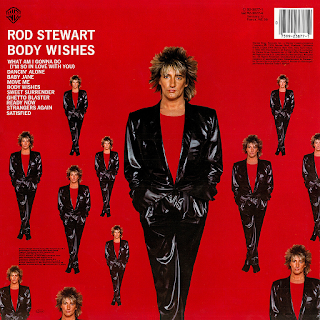 However, as this is Rod Stewart, there will always be one or two tracks that capture your attention. Funnily enough, the opener, "Dancin' Alone", despite its shallow lyrics, has a solid, traditional rock beat with "proper" drums and rocking "Hot Legs" style guitar. It is actually not bad at all. The album's massive number one hit, "Baby Jane", has never been one of my favourites, but it has a great hook and Stewart's voice is on top form. For me, however, it is too dominated by synthesised keyboards and programmed drums. It has a killer wailing saxophone solo though, to be fair. "Move Me" is again lyrically bland, just about rescued by some excellent riffy guitar but the beat is buried under the eighties production. The title track is a more mid tempo, laid back rocker. Very vacuous in that eighties way, but it's enjoyable enough, with some good percussion and guitar. I have read critics seriously lambasting "Sweet Surrender", but personally I find it relatively tolerable. I love the acoustic guitar solo. It would have been fine on a late seventies album like "Footloose And Fancy Free". There are worse tracks on here. "What Am I Gonna Do (I'm So In Love With You)" is the one great track on here. I love it. It is romantic, evocative and the possessor of a sublime keyboard riff. It is just a great love song. I remember hearing it at the time and thinking that washed-out old Rod could still do it when he felt like it. "You are the goal that wins the game, the very last bus home in the rain, you're like rock 'n' roll and champagne...". Corny lines, I know, but very endearingly so. "The Sistine Chapel and The Eiffel Tower, a national anthem, an April shower...". Great stuff, Rod. "Ghetto Blaster" brings those programmed eighties drums and synthesised horns out again. 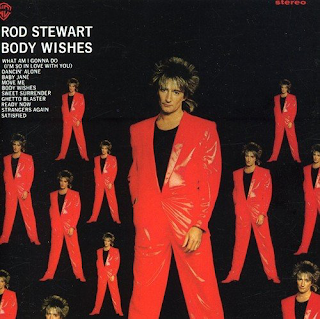 Rod tries in the lyrics to put across a message about poverty and social deprivation, which is laudable, but it loses its effect somewhat in the indulgent eighties-dance backing. Against a sparser backing it may have worked. "Ready Now" is a pretty bang average example of the worst of eighties pop. Pretty disposable. The same applies to the slower "Strangers Again", it just doesn't stick in the mind. Very ordinary, I'm afraid. This track and the next one, "Satisfied" are tried to be lifted by that melodic acoustic guitar used so successfully on tracks like "I Was Only Joking" in the past but they lack that something special to get there. "Satisfied" is ok, actually, but certainly nothing really remarkable. The fact I listen to them and then struggle to remember them says it all, I guess. "That's What Friends Are For" has some cheesy, Disney-soundtrack sounding synthesiser. Indeed, the song would suit a film. Here it just sounds schmaltzy in a Michael Jackson way. Nothing much to see here. Move on please.